As a person grows older, it becomes more difficult to get dressed and get around. This is especially true during the winter months. As old bones start to creak and lose their flexibility, an elderly person needs to carefully consider what type of winter boots to purchase. The right winter boots are important because, after all, what older person wants to slip and fall on icy or snow covered walkways, driveways, or parking lots. Another major consideration that the elderly have when purchasing a good pair of winter boots is the price. Most older people do not have a lot of money to spend on designer winter boots. 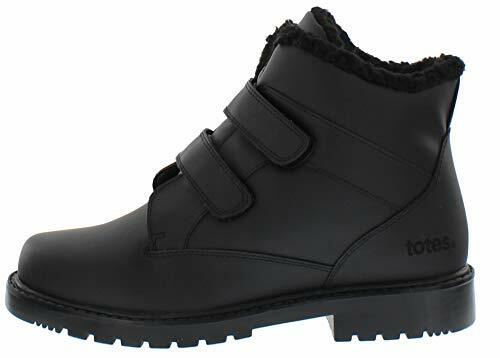 The good news, fortunately, is that there is a dual closure ankle boot made by ‘totes’ for men that seems to have all of the bases covered. These affordable winter boots come with a variety of excellent features designed especially for seniors. 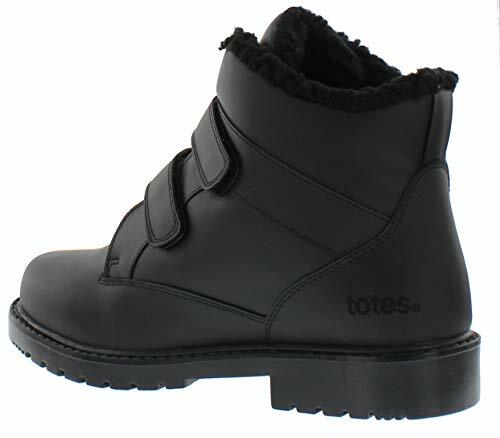 The ‘totes’ winter boot has a rubber bi-lateral sole that prevents slipping on snow and ice. This makes these pair of boots safer for a morning walk during winter conditions. The sole of the boot is also quite thick so as to cushion any shock that might occur when stepping into a pothole or off of a hidden curb. 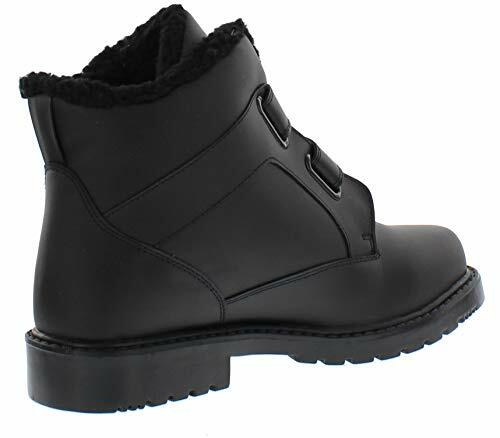 The 6 inch tall ankle boot is well made to provide extra stability when walking. One of the most difficult things to do as you grow old is to put on and take off a pair of winter boots. Winter boots with laces are very difficult for seniors to wear because, at times, it is almost impossible to bend over and tie the laces. 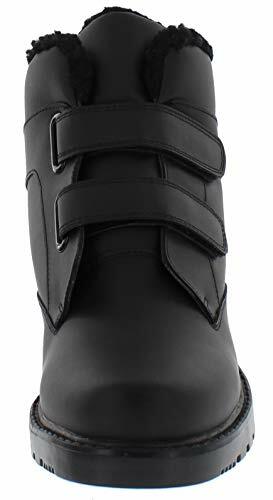 Totes men’s ankle boots incorporate an easy to use dual hook & loop fastener and closure strap. 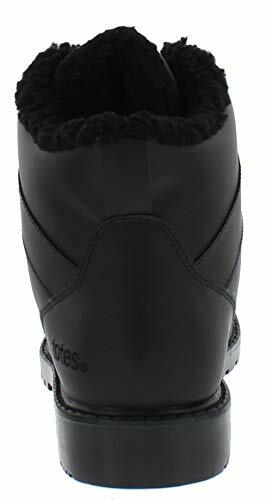 The inside of the boot has a soft, fuzzy fleece pile lining that features thermolite and a comfortable foot-bed. The boots are polyurethane-coated. They are 100% waterproof. These are excellent winter ankle boots for older men. 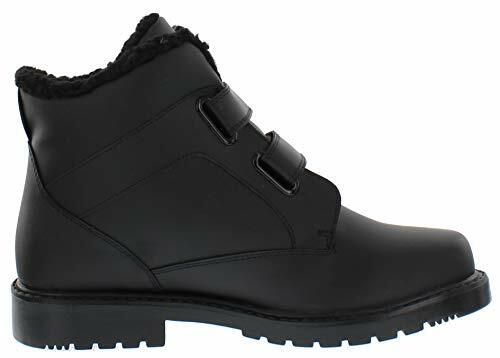 The only thing to consider before purchasing a pair is that they are a casual winter boot and not designed for a long trek through heavy snow. A stable, supportive, and comfortable boot for senior men with great traction but designed for short term wear. 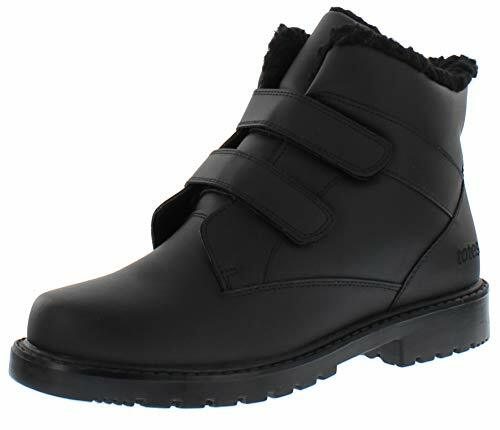 6" tall Winter Boots will keep you warm, dry, cozy and comfotable through winter toughest conditions.